Does the thought of meal planning cause you to zone out while staring aimlessly at a blank piece of paper with no idea where to start? Well, not completely blank because you’re at least able to write down the days of week. Or maybe you’ve got your stuff together and you’re killing it when it comes to making a plan and sticking to it. If that’s you, then kudos, friend! This info is for those in need of a meal planning hack, some tips, and a little encouragement! Don’t have it together? We got your back! It’s easy to get thrown off by the beautiful meal prepping pictures on social media. 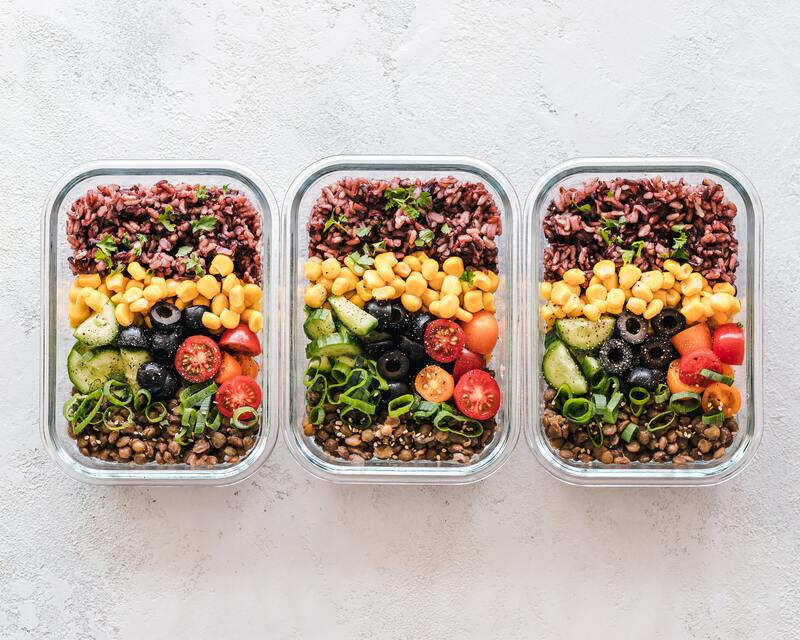 Those perfect images in stark white kitchens with seven healthy lunches and dinners lined up in expensive Tupperware leaves most of us feeling inferior. I mean, who are these unicorns who actually have lids that fit their bases?! Here’s the real secret to meal prepping and planning: it doesn’t have to be over the top and beautiful. It can be simple and messy! The goal is to be effective and efficient in the kitchen, not glamorous. Take a look at your week. Figure out the days you have to time to cook a 30 minute meal and which days require the crockpot. You know those days when you’re working late or the kids have evening practice… hello, crockpot! Based on what you already have and what you need, make shopping list. If you’ve got a picky eater, figure out how you can re-purpose part of your planned meal. For example, if your toddler won’t eat salad, buy some grain-free tortillas to make a quesadilla with the crockpot chicken you prepare for taco salad night. Always have staples on hand like a can of beans, box of lentil pasta, low-carb marinara sauce and salsa. That way, if all heck breaks loose, you can take your prepared meat or tempeh and add to something that’s nearly ready-made. Think about your macros as you plan, and aim to get a good amount of greens or veggies into your container. If you start with veggies and then add a protein, all that’s left are sauces, seasonings or dressings (and healthy brands are everywhere these days)! Chop some celery, cucumber, bell peppers and carrots for snacking. Portion them out into baggies or mini containers. Portion out nuts and seeds for grab-and-go homemade trail mixes (without all the added candy and dried fruit that come in store-bought varieties). Chop a mix of celery, onions, and bell peppers for cooking. Toss these into sautes, soups, stir-fries and more throughout the week! If they’re there and chopped, you’re more likely to use them. Make a batch of quinoa and chill it for a later in the week for a main meal- or to add small portions to salads or taco during the week. Cook up some ground beef, chicken or turkey to use throughout the week to make tacos, a meat sauce, and 131 Lettuce Wraps. Portion them out, label them with the date, and write what you intend to make with them. Example: Ground beef. 3/16. Meat Sauce & Zucchini Noodles. Get out your spiralizer and spiral a bunch of zucchini. Place in a large Ziplock or Tupperware with a couple paper towels. These last several days stored like this. Hard-boil a dozen eggs. Not only do they last a while, but they’re super versatile. Mash with avocado, white beans, avocado-based mayo, mustard, or simply toss into chopped salads. Or- just sprinkle with a little salt and add to a tiny container. 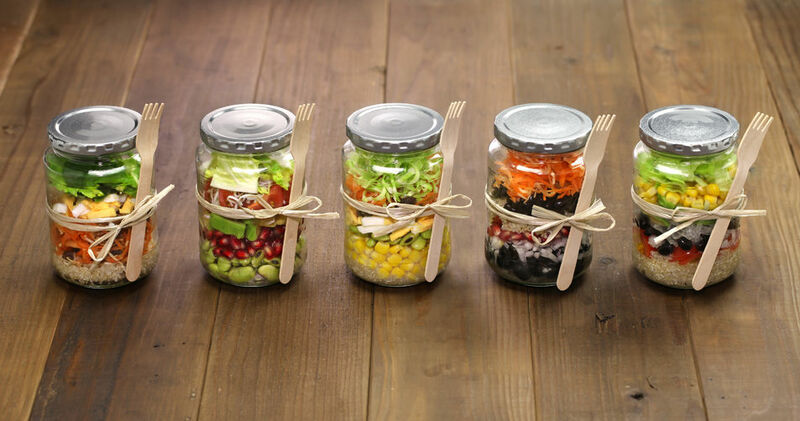 Make a few salad jars, layering colorful veggies with the meat you made, or simply use chopped organic deli turkey. Whip up several overnight oatmeal jars (or go low-carb and use our 131 Method overnight hemp-meal recipe) for just about the fastest and tastiest breakfasts in meal planning history! Bake some 131 PB & J or Pumpkin Muffins and whip up some 131 Blueberry Pancakes for the freezer. These are great for a quick breakfast when you’re short on time. You can toss them frozen into a lunchbox and they’ll be defrosted by lunchtime. Whip up some Brain Bombs or one of our healthy on-the-go-bite recipes and freeze them. These make great additions to bento-box lunches for a little something sweet, as well as for after school snacks or late-night cravings. Make one of our healthy bar recipes, cut, and store in containers. You don’t have to meal prep on a Sunday, or even just one day a week. Try a Monday or even on a Tuesday and again on Saturday. Maybe you plan three days out instead of seven, then reevaluate and plan for the next three days. There is no wrong way to do this! Start small. If all you do is chop veggies for the week, you’re saving valuable time, plus, you’ll have healthy snacks on hand! Do your best! In life, the more you practice, the better you get. The same applies to meal planning. Keep tweaking and you’ll end up developing a system that works for you. It might not be pretty, but it’s far more effective than winging it week after week. What are your best meal planning strategies? We want to to know! Leave a comment below.